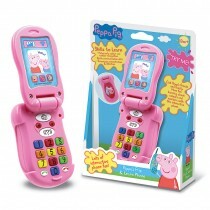 Kids will love learning as they're being entertained by the new Peppa's Laugh & Learn Alphaphonics. 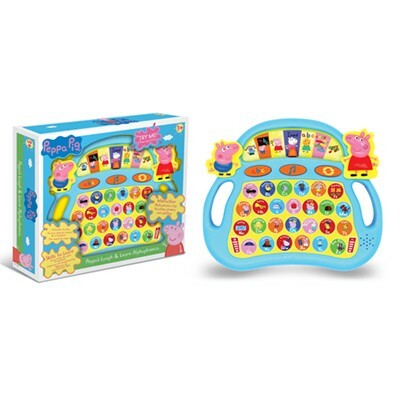 Learn about phonics and spelling with Peppa’s Laugh & Learn Alphaphonics™. 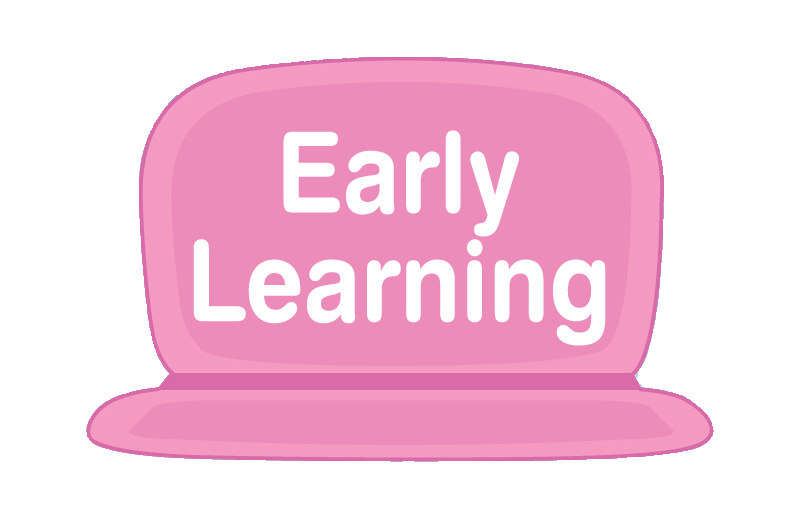 The Alphaphonics™ will keep children learning and entertained for hours, with 7 different games to help with their spelling and identifying words. There’s even a musical feature too! 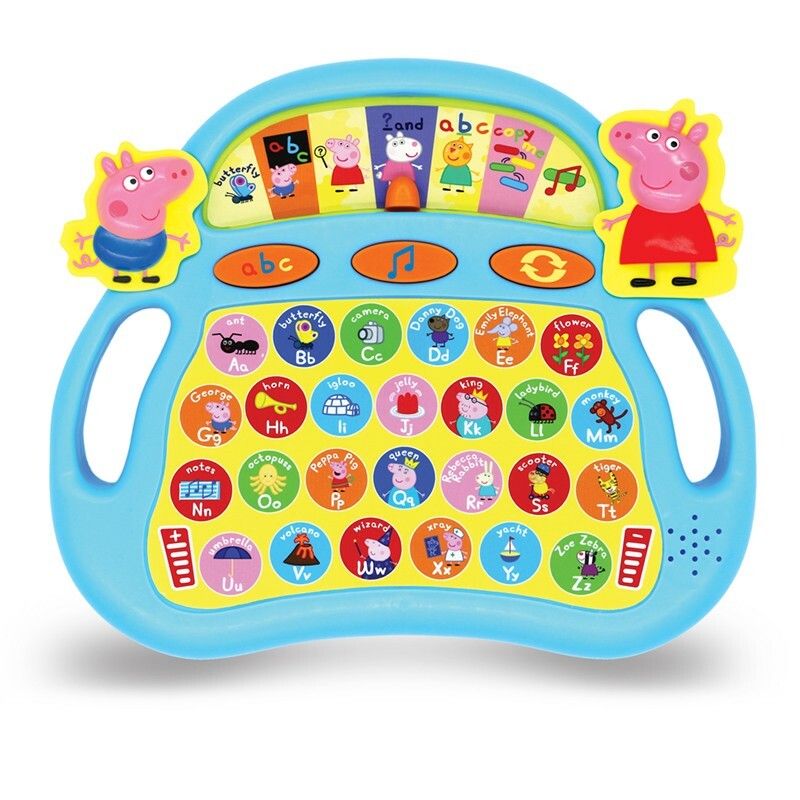 The Alphaphonics™ also comes with volume control and double sided handle, making it suitable for kids to hold either with their right or left hand when playing. 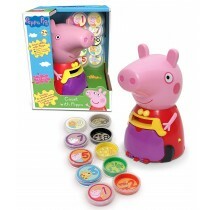 Join Peppa for 7 fun-filled spelling and word games. 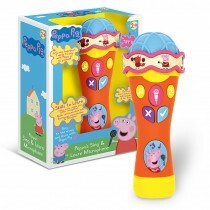 Chunky design with handles on each side, so child's play can be either left or right handed. Easy to use slider to select different games. 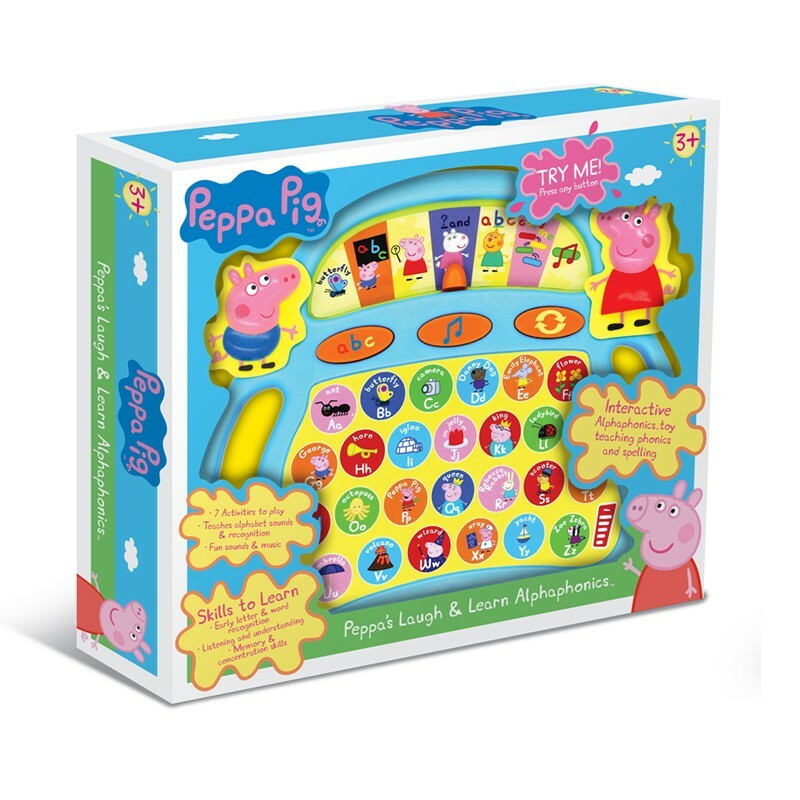 All 26 letters represented by different objects and Peppa characters on colourful, easy press buttons. 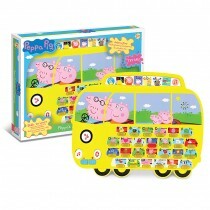 Helps children with hand to eye co-ordination and vocabulary skills. 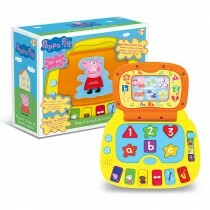 Warnings: Remove all packaging materials before giving this toy to a child. Subscribe to receive an email as soon as this product become available again!